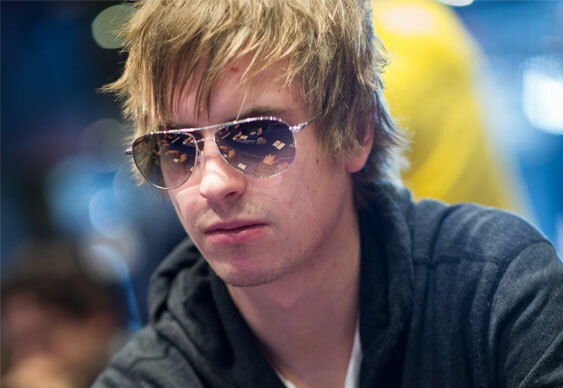 Viktor 'Isildur1' Blom is the latest big name to be added to Unibet Golden Cash Game which takes place at Aspers Casino in the London from 24-26 November. The special £5/10 game is being held to celebrate the 30th tournament in the Unibet Open series (which follows at Aspers from 27-30 November) and will feature stars from both sport and poker. High-stakes superstar Blom will join a line-up that also includes former Manchester United and England star Teddy Sheringham, Bluff Europe regular Neil Channing and the co-owner of RankingHero.com, Nicolas Levi. Rounding out the competition are Finnish ice hockey star Esa Tikkanen, Norwegian commentator Morten Langli, organizer of the Norwegian Poker Championship Frode Fagerli and Swedish Unibet ambassador Dan Glimne. “I love fun cash games, especially when I’m playing against big names in poker and sport. And I’ll be so close to home, it’s perfect,” said Blom, who now spends much of his time in the capital. Railbirds will be able to follow all the action from the Golden Cash Game courtesy of a live YouTube stream. Unibet Poker will also be running daily freerolls in conjunction with the Golden Cash Game with various social media giveaways happening throughout the three days. Players will also be able to bet on the action at Unibet.com. Participation is by invitation only but if you think you've got what it takes, email linkText. The Golden Cash Game will run from 4pm until 2am from Monday 24 – Wednesday 26 November. The minimum buy-in is £1,000 with no maximum. Unlimited reloads will be allowed. As an added bonus, £20k in gold bars will be distributed to the players via prop bets in the game – any player who wins and shows down 7-2 will be awarded £1,000 in gold bars.